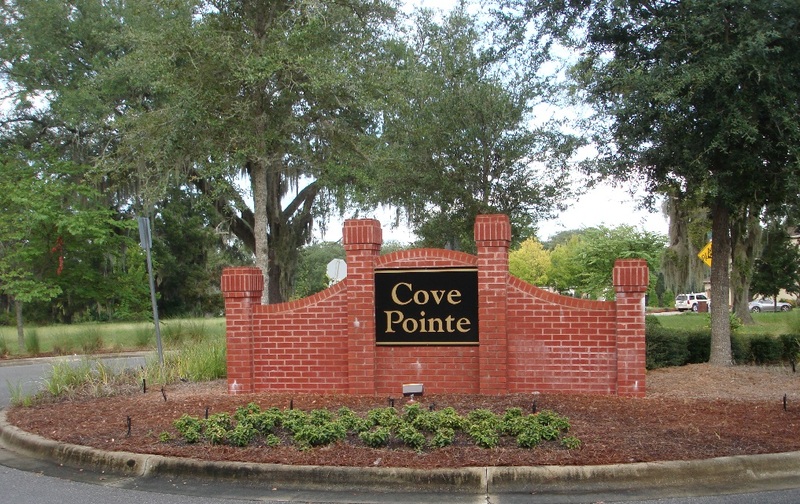 Cove Gardens military housing area was built in the early 1940's and was the only military housing available in Bay County until 1951. 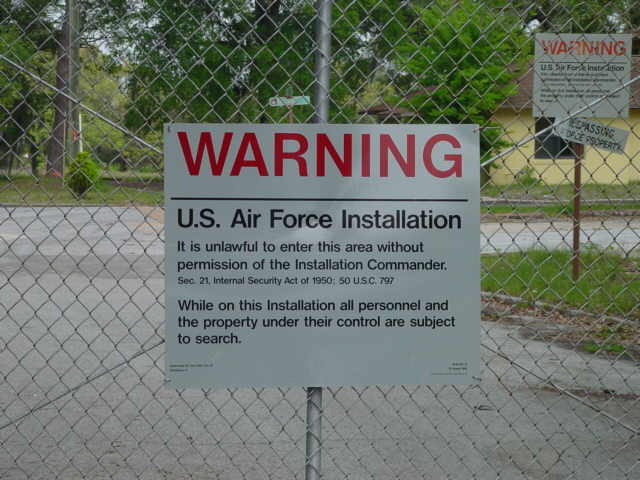 The 130 units and small base exchange annex (shown in this photo) were remodeled and updated in he 1980's but eventually, the Air Force made plans to declare the property excess. and logistics, Jimmy Dishner and as well as Vice Chief of Staff of the Air Force, General Eberhard. 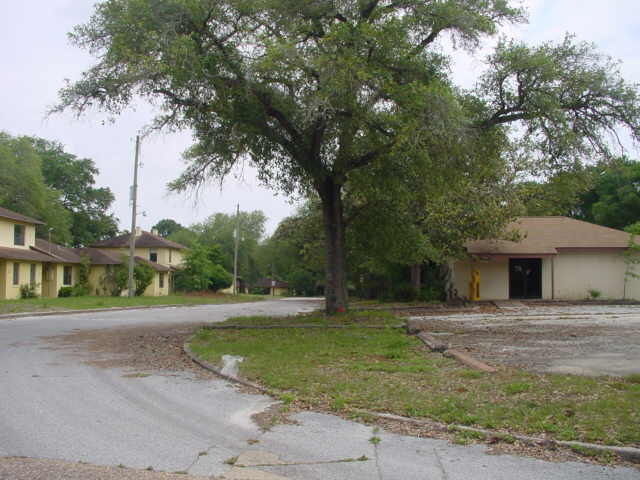 Conceptual approval of a plan to sell the property to a developer through the city and divert the sale proceeds to Tyndall housing projects pursuant to a congressional authorization was finalized. With the assistance of U.S Representative Allen Boyd, the BDA developed legislation which eventually become law in 1999 as HR 1401 Sec 2862. The City of Panama City then began the process of developing specifications that would minimize density, protect trees and ensure that the property will fit well with neighboring properties. Several development groups submitted detailed plans to the City and these were evaluated and scored for compliance with the City plan. The winning proposal was submitted by Cove Preservation Partners, a group comprised of five partners, including Chris and George Reiss, Bob Robbins, Patrick Higgins, Tom and Margaret Neubauer and Roger Spencer. During construction, Bob Robbins one of the partners, a community leader and restaurant entrepreneur passed away, and the remaining partners named the proposed community park in his honor. During construction, all 133 units and the existing utilities lines were removed, restoring the site to its pre-1940's state. 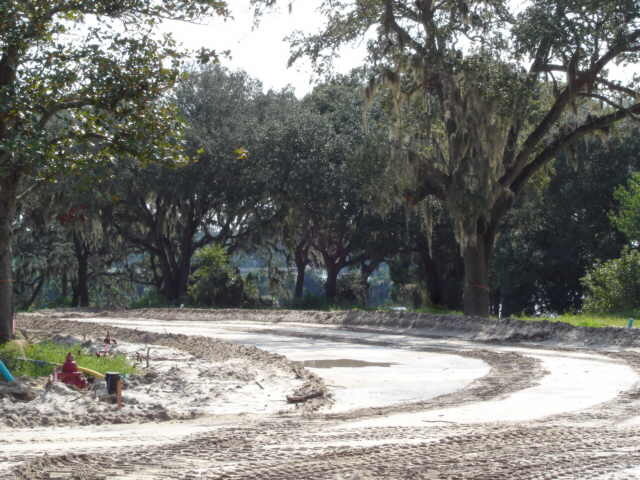 New utility lines and roadways were installed, as well as a community dock and drainage systems. 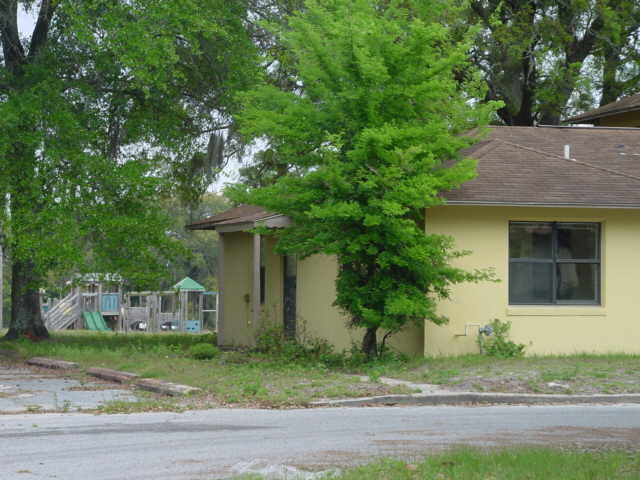 The project was officially completed in March of 2006 and the developer sold 42 of the 58 lots, with future lot releases planned.